Jacob Nowinski treats patients at Hove chiropractic clinic which has been established for thirty years and specialises in McTimoney chiropractic as well as Sports and Deep tissue massage. Jacob is available for chiropractic treatments on Wednesdays 8.30am-8.00pm. 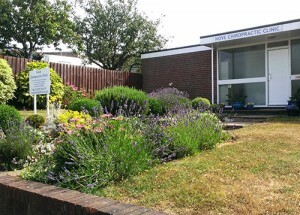 The Hove Chiropractic Clinic is at 2 West Way, Hove, BN3 8LD. Please call on 01273 733177 or 07751076395 to book an appointment or discuss your issue. There is good on and off street parking a available.